Masjid Saidina Abu Bakar As Siddiq, Bangsar. : NO PARKING PEACE : WORSHIPPERS DENIED PARKING BY SHOPPERS. NO PARKING PEACE : WORSHIPPERS DENIED PARKING BY SHOPPERS. The car park of the Saidina Abu Bakar As-Siddiq mosque is full even though it is not time for prayers. — Picture by Ahmad Irham Mohd Noor. 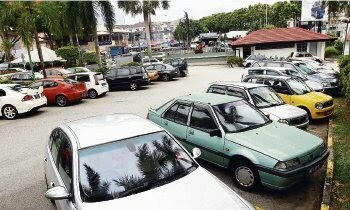 KUALA LUMPUR: Some motorists are using parking lots meant for congregators inside mosque compounds. This is inconveniencing worshippers who are unable to find vacant bays. A reader claimed that the situation was especially bad at the Saidina Abu Bakar As-Siddiq mosque in Bangsar here.He said shoppers and others who had errands to run were parking their cars in the mosque compound.The reader said he found it difficult to find an empty lot when he went to the mosque for maghrib prayers. "As I was driving around the compound looking for parking space, I saw many people with shopping bags getting into their vehicles. "They were not there for prayers," said the reader who wished to remain anonymous.He said motorists should not use the mosque's parking lots as there were many private car parks ne arby. The mosque's imam Hazman Hashim acknowledged that there was a problem but added that the mosque committee had not received an official complaint on the matter. "The problem was worse during the fasting month. We will discuss the issue during our committee meeting. 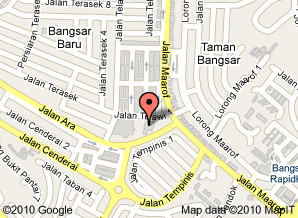 "At the moment, only the back gate is closed to vehicles. "We may have to consider closing the small gate for pedestrians (facing Bangsar Village II) while still leaving the main gate open for the congregation to come and perform their solat (prayer). "We sometimes leave a note on the cars to remind owners not to park here for hours on end. "We hope the public can be more considerate and give a chance to those who wish to perform their prayers a place to park their cars," said Hazman. At the Jamek mosque in Kampung Baru, the mosque committee has resorted to closing the main gate most of the time to prevent people from abusing its parking facilities. Treasurer Kamaruddin Mohd Tahir said: "We only open the gate if there are functions like forums and kenduri for our guests. "Our congregation understands this and has no problems with the decision. "Normally, when we have functions, we inform everybody at the mosque to remove their cars within a certain period as we will close the gate after that." Federal Territories Religious Affairs Department public relations officer Tuan Asmawi Tuan Umar said mosques could remind those who park in their compounds to avoid doing so during prayer times. "The public has to be more considerate and allow the jemaah (congregation) to use the parking facilities during prayer times. The mosque committee can also impose a time limit for the gate to be open. "We don't want to be seen as discouraging people from coming to the mosque, but at the same time we don't want the public to misuse facilities provided for those who come to perform their prayers," said Asmawi.